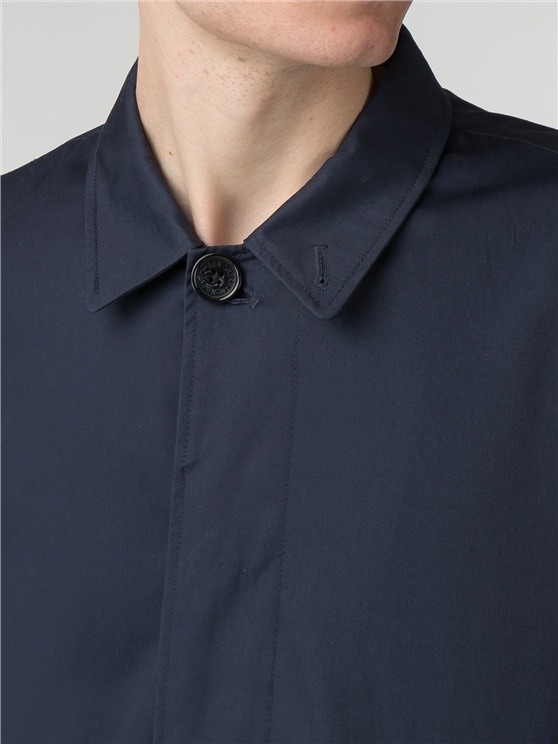 A sophisticated navy mac, simple and functional in it’s design. 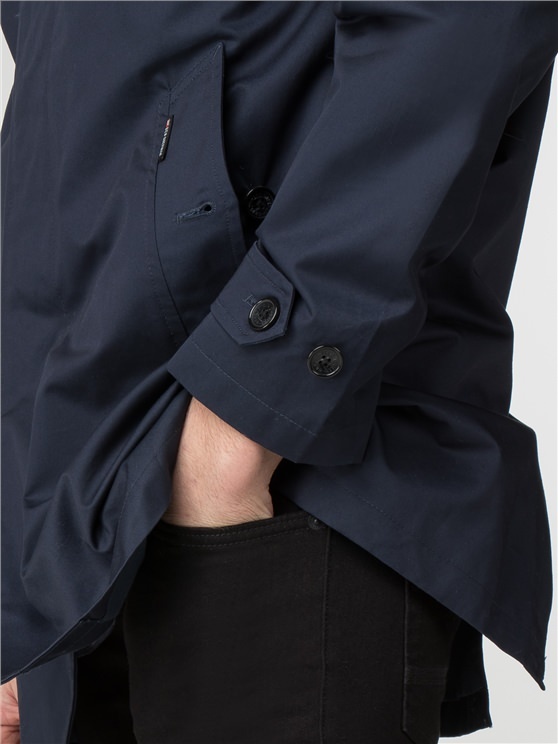 Our mens blue mac features tab branded welt pockets, concealed buttons and internal patch and welt pockets. 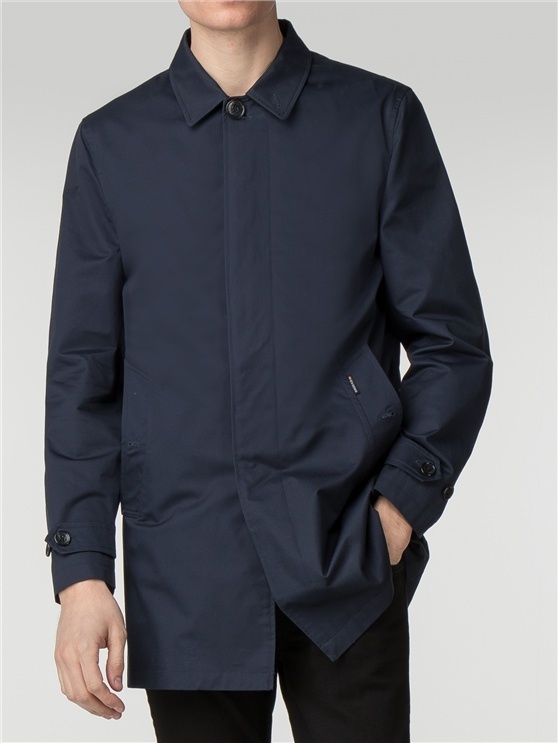 The classic navy pallette makes the Ben Sherman blue mac ideal for layering on the commute, he also adds a sleek silhouette to after work and weekend looks. 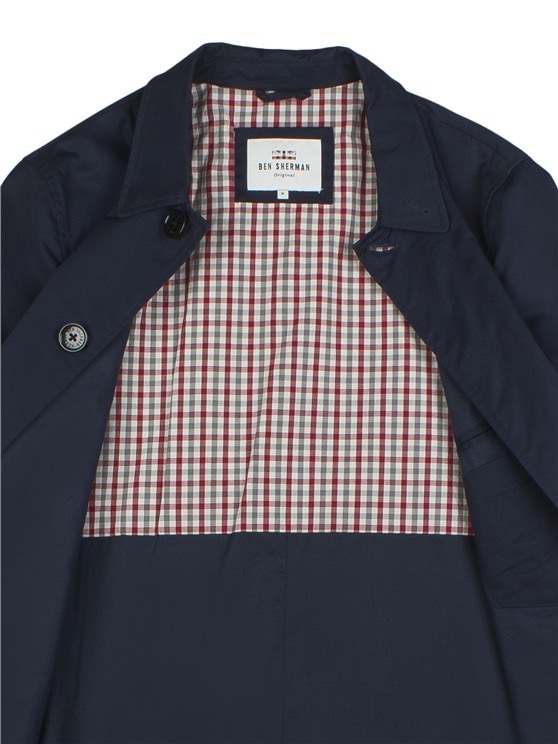 The mac has been a gent's wardrobe staple since 1843, and our latest example is a pin- sharp investment.
" 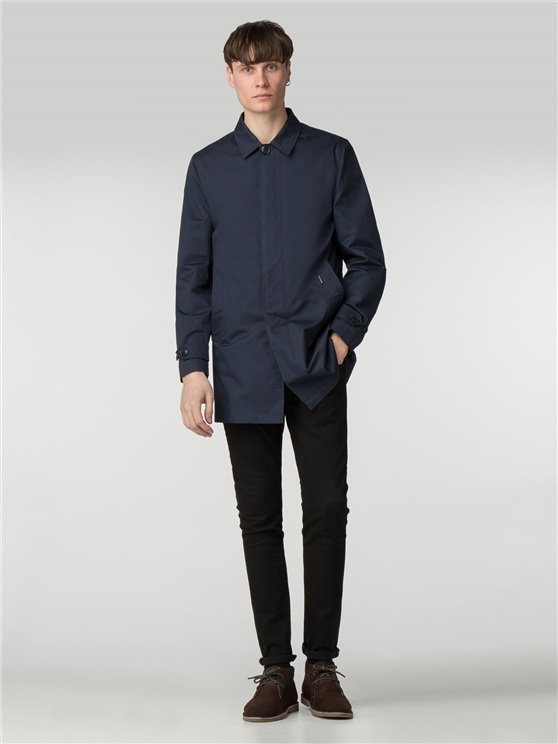 Very nice value for money "
" Fast response to the order nice fit Value for money "
" You had size and colour your shops didnâ€™t have when I wanted it "
" A great fit and my son loved it. " " Got the product to us really quickly. " 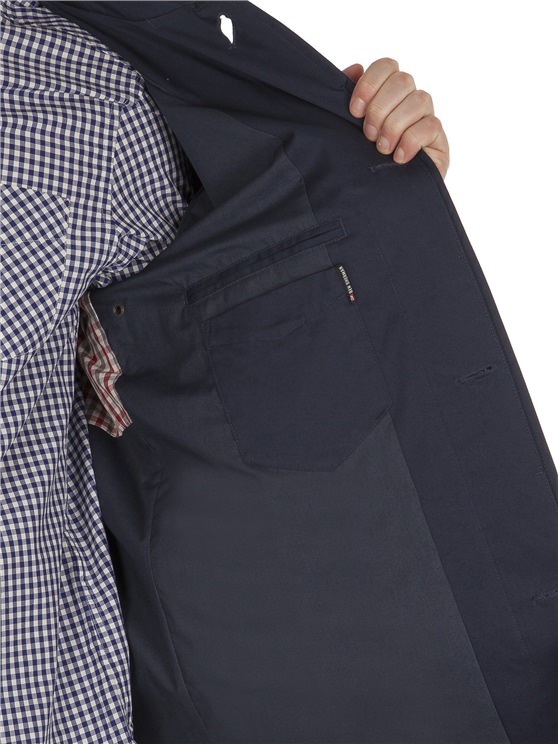 " very happy with service and product "
" Excellent service & product "
" Good quality as usual from Ben sher man. " " Easy to order and quick delivery, what's not to like! " 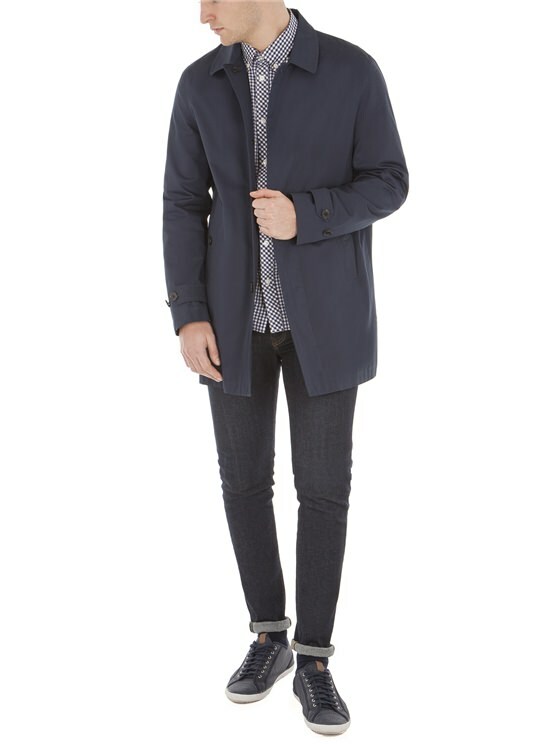 " High quaility jacket. That was as advertised. " 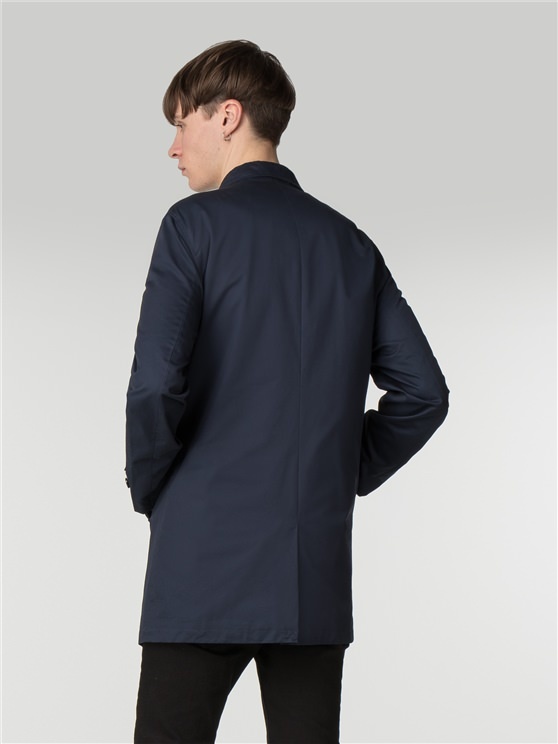 " The quality of the jacket is excellent, it was quick and easy to order and delivered the following day. "